I’ve written previously about how I recently returned from two months traveling across the U.S. working on farms. On a farm I visited in Kentucky, the family had a family cow, and their teenage son was typically responsible for milking. I was really struck by how adept he was at milking the cow for his family as well as his confidence in helping me to learn how to milk too. Perhaps it was this experience, which led me to think more about the value of a family cow. 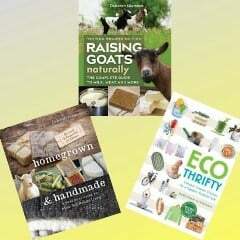 Based on this interest and wanting to learn more, I really enjoyed reading Keeping a Family Cow: The Complete Guide for Home-Scale, Holistic Dairy Producers by Joann S. Grohman. Grohman starts the book with a very intriguing discussion of the history of dairying including how many types of animals have previously or are currently milked (even antelope and reindeer). But the author clearly favors cow’s milk even above goat or sheep milk – calling cows the “premier dairy animal.” She says that humans began milking cows at least 10,000 years ago. While there’s no need for milk produced for a family or on a small scale to be pasteurized or homogenized if it’s handled and chilled appropriately, the author explains why these practices have become necessary now that milk is transported across vast distances and is expected to last for an unnaturally long period of time. Unfortunately, these practices reduce the quality and taste of cow’s milk, so we’re really missing out on the deliciousness and health benefits of fresh, raw cow’s milk. In fact, Grohman discusses the health benefits of raw cow’s milk in great detail – good bone structure, reduced risk of heart disease, and healthier joints, just to name a few. Graham explains that due to farm subsidies and the rise of “cheap food” it is likely more cost effective to purchase milk at the store rather than keep your own cow. However, once you read her explanation of how milk is homogenized and the health problems associated with bovine growth hormone (BGH), you may be convinced (like me) to either get your own cow or find a small, local farm where you can purchase milk. Can a cow really support a family? I really enjoyed the “Milking Your Cow” chapter, and felt that it provided very helpful information, which you might otherwise have to figure out through trial and error (one error being that you might get kicked by your cow!). For example, I learned that cows don’t like dogs, running or giggling children but they really like “quiet, contemplative music”. The chapter also covers machine milking, how to keep your cow from kicking, and strategies for maintaining your comfort while milking. One of my other favorite chapters was “Your Organic Cow” in which Grohman again provides insider information, which you may not read in other books. I learned that while some other animals (like poultry or pigs) require animal protein, cows can actually live off of a vegetarian diet in combination with the bacteria in their rumen. Grohman also explains how fresh cow’s milk can help to address you or your family members’ allergies. 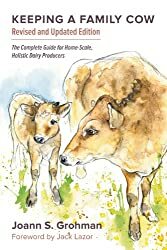 Additionally, she describes her own approach to raising a cow organically (though still not according to USDA standards) including solutions for treating mastitis (such as cayenne, comfrey, and using straw bedding), milk fever, ketosis, and cuts (pure vitamin E oil and comfrey, again). At the end of the book, there’s also a list of useful sources for cattle and dairying supplies, cheese making supplies, ruminant pregnancy tests, milk testing, and more! 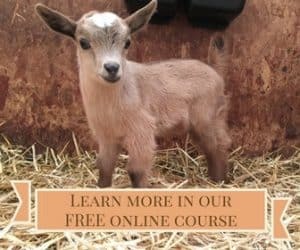 Moving to NC in 6 months w/acreage and considering a cow. This book would be perfect!